Fed up with Polar Bear's annoying puns, Grizzly and Penguin try to get everyone in town to beat Polar Bear at his own game. Later, Masaki is told how coffee can taste different depending on how it's prepared, and wonders if he can win over the Red Squirrels with advice from Polar Bear. Afterwards, after a long day at work, Mr. Full-time Panda and Mr. Llama decide to have a few drinks. 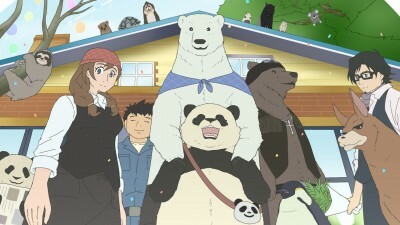 They later invite Rin Rin, who takes the drunk Panda and Llama to Grizzly's bar, where everyone there gets drunk into the morning.